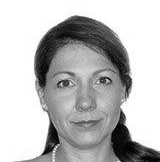 Mina is Legal Counsel of the International Division of Enel S.pA. She graduated in Law at “La Sapienza” University and is admitted to the Bar of Rome. Before joining Enel in 2007, she had experience as legal counsel at “Studio di Consulenza Legale e Tributaria”, associated to the International Network Andersen Legal , then “Studio Tributario e Societario” associated to the International Network Deloitte.